A few weeks ago, I was talking to someone a few years younger than me who was really frustrated about greasy hair, even though she had washed it that morning. This instantly reminded me of myself a few years ago, when I sometimes felt like crying because I was in exactly the same position. Since then I have spoken to many hairdressers and discovered new ways to get it under control. Going through teenage years makes this process incredibly hard, as naturally all teenagers will experience this due to hormones. So I wanted to share a few tips that I have learnt over the years, that seem to be doing the job for me. I feel like my hair is prone to getting very oily anyway, as it is so sleek and fine, therefore I try to stick to this way of caring for it all the time. 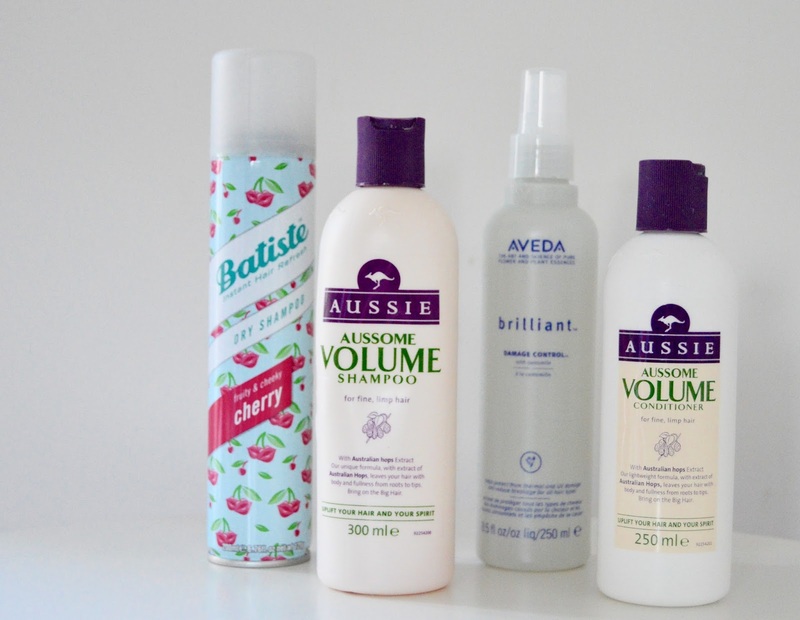 To start with, you need to be incredibly strict on the products you use. 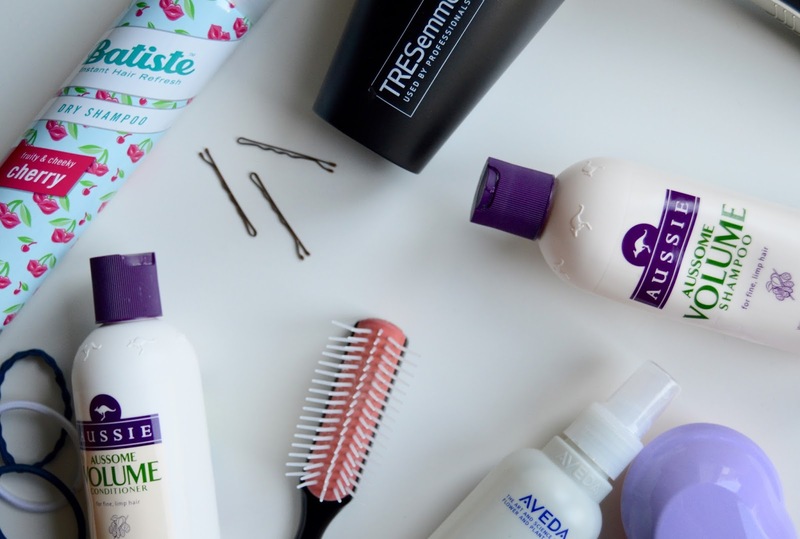 The shampoo and conditioner you use should never change, which is why it is so important to find one that is right for you. 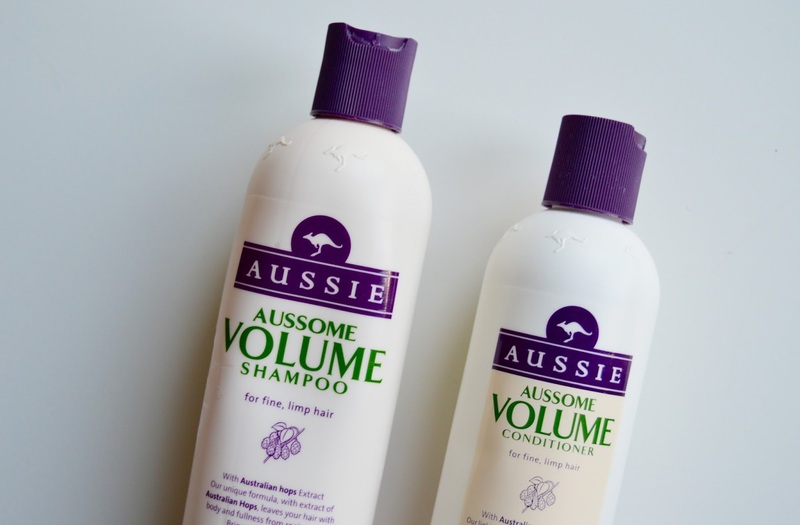 I have always used the Aussie ones, however kept switching between the ‘colour protection’ and ‘volumising’. I have finally stuck with the volumising as it isn’t too rich and makes it look naturally a little thicker. I cannot stress enough how important it is to find a product that works for your hair and stick to it. The first thing I can say about washing your hair, has to be that you need to have time. You need to be able to wash it, dry it and protect it properly, so having enough time is essential. If you don’t, simply wait until that evening or next morning. When washing your hair, start by rinsing it through thoroughly with water, so it is naturally able to wash itself. Then apply shampoo all over. I used to use way too much shampoo, so my hairdresser advised me to only use the amount of a 50p piece when putting it on my hand. This won’t seem like enough to begin with, although quickly you will get used to it and the coverage will be the perfect amount. Wash shampoo out thoroughly, especially from your roots. Another tip for washing your hair would be to have quite a cool temperature for the water. I used to find that using really hot water would make my hair so much greasier more quickly, so try to use cooler water. Conditioning is probably the most common process that leads to greasy/oily hair. Firstly, you really shouldn’t be conditioning the roots of your hair, as it is simply too rich, and most shampoos nowadays are already soft enough to do that job for the roots. So you need an even smaller amount that shampoo, and all you need to do is a tiny amount on the ends of you hair, running your fingers through. Again, I would user cool water, and before applying the conditioner, I would also slightly rinse out my hair so it isn’t so wet. 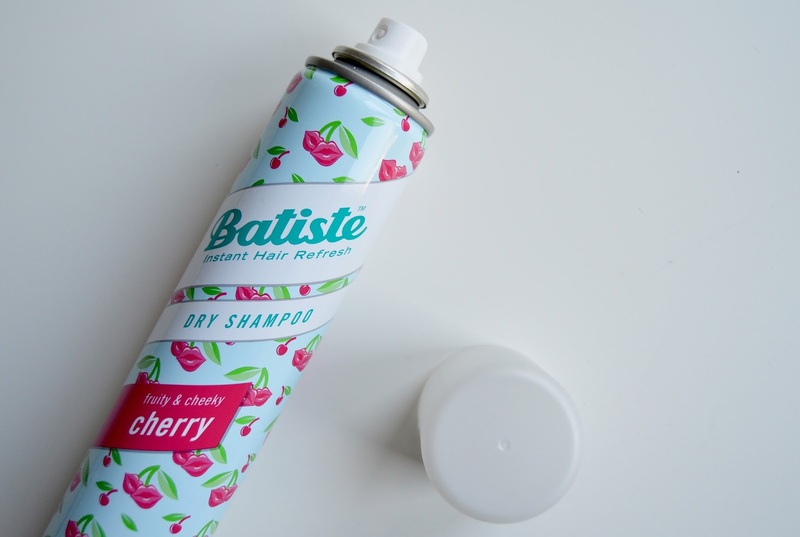 Another product that works miracles for greasy hair is obviously dry shampoo. This stuff has to be my most heroic beauty product, and I rely on it almost every single day. I used to worry that it was really bad for my hair, however my hairdresser assured me that it just sits on you hair and all washes out when you next wash it. To use dry shampoo effectively, you need to spray a small amount in and out of you roots, working it through your hair. Keep it about 10cm away from your hair because otherwise you will just get huge white marks where it sprays! After washing your hair, the next most important step is drying it. To begin with, try and get as much excess water with a towel to make it easier to dry. Brush it out thoroughly using a very good brush. I use a tangle teezer as my hair gets so knotty, and I think it is one of the best purchases I have ever made! Once it is all brushed out, I use a small spray of an Aveda damage control product, recommended by my hairdresser, as I worry a lot that using heat on my hair is really bad for it. Finding a product which is right for you is extremely difficult, which is why I asked my hairdresser to pick one right for my hair type. This is the only one I use, as you don’t want to have loads of different products doing loads of different jobs. Leave plenty of time to dry your hair, and do so thoroughly. I used to have my hair up before drying it, usually whilst doing my make-up, but my hairdresser said that was actually quite bad as the water sits on your roots. So instead, dry your hair as quickly as possible. My hair takes so long to dry, but drying it all is so much better as it is less likely to get greasy during that day. The last thing to consider is brushing, as it is one of the main culprits for greasy hair. During the day, try to resist from constantly brushing your hair, especially the roots. I often just brush the ends after battling the wind outside. Also use quite a spread out hair brush, as ones that are very close together often lead to more oily hair. I hope this was at least a little bit helpful!